The Caribbean Community (CARICOM) is a regional inter-governmental organisation consisting of 15 Caribbean Member States and five Associate Member States. The CARICOM Youth Ambassador Programme (CYAP) was established in 1993 with two Youth Ambassadors appointed from each country. The CYAP acts as the regional network of Caribbean young people and provides a platform for youth participation in CARICOM decision making. Young Ambassadors are the link between the issues and priorities of CARICOM and young people in their national countries. Young people are appointed annual by each of the 20 CARICOM Member and Associate States, with recruitment processes varying between countries. 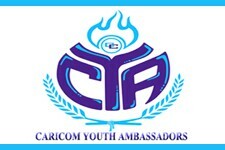 The current CARICOM Youth Ambassadors are listed here: http://caricom.org/caricom-youth-ambassadors.